This year’s project is in Northern Uganda! Sign Up for the School Challenge! Read our Annual General Report and see what we’ve accomplished and what we still plan to do! Check out our Newsletter and discover some of the highlights from 2018! Want to meet Ryan? Request an interview, Skype with Ryan, or book an in person appearance at your corporate event, school or conference! 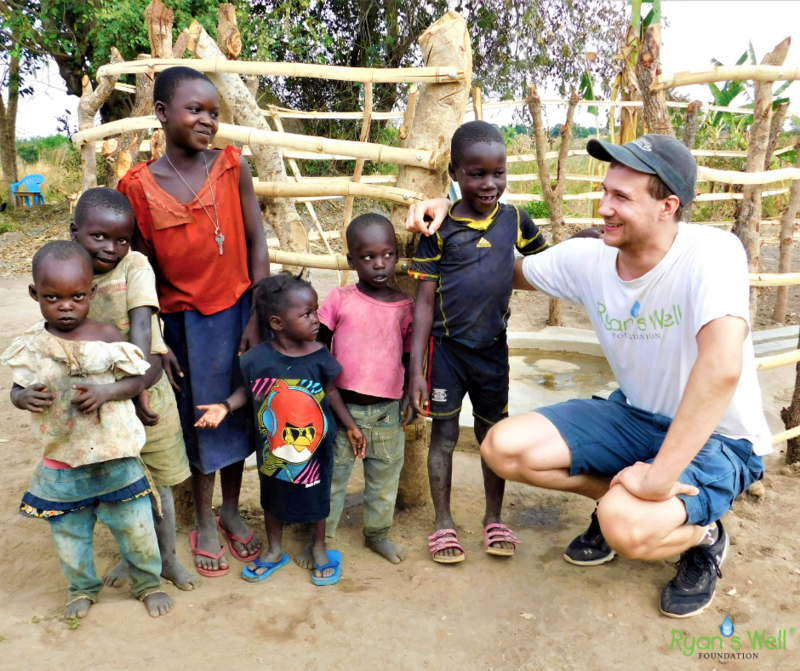 The Ryan’s Well Foundation, together with local partners, provides access to clean water, sanitation and hygiene education in the poorest regions of developing countries. We educate and motivate people to share our passion and contribute to achieving change in the world. Our BUILD program supports the construction of water and sanitation services, as well as facilitates WASH (Water, Sanitation and Hygiene) training in partnership with local non-governmental and community-based organizations in developing countries. Our current focus is for the communities of West Africa (Burkina Faso and Ghana), East Africa (Ethiopia, Uganda and Kenya), and Central America (Mexico). They say in Africa that: “Water is Life.” This is beyond simply needing clean water for hydration and food preparation, and includes the critical need for sanitation services and hygiene education, such as handwashing with soap to decrease the spread of communicable diseases. By educating citizens we look to improve global health and well-being. Ryan’s story continues to MOTIVATE people of all ages –youth in particular – to take action and effect positive change in the world. Based on the premise that all you need to make a difference is a passion and a commitment to better yourself and your community, the Ryan’s Well Foundation uses Ryan’s inspiring story as an example of what one idea can become.